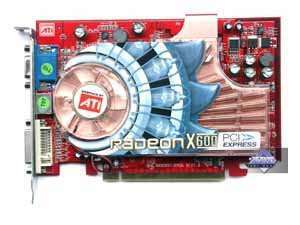 In spite of the fact that there appeared newer solutions based on PCI-E interface, manufacturers of video cards based on firstlings in this segment, in particular RADEON X600, are seeking any methods to attract customers to their products. 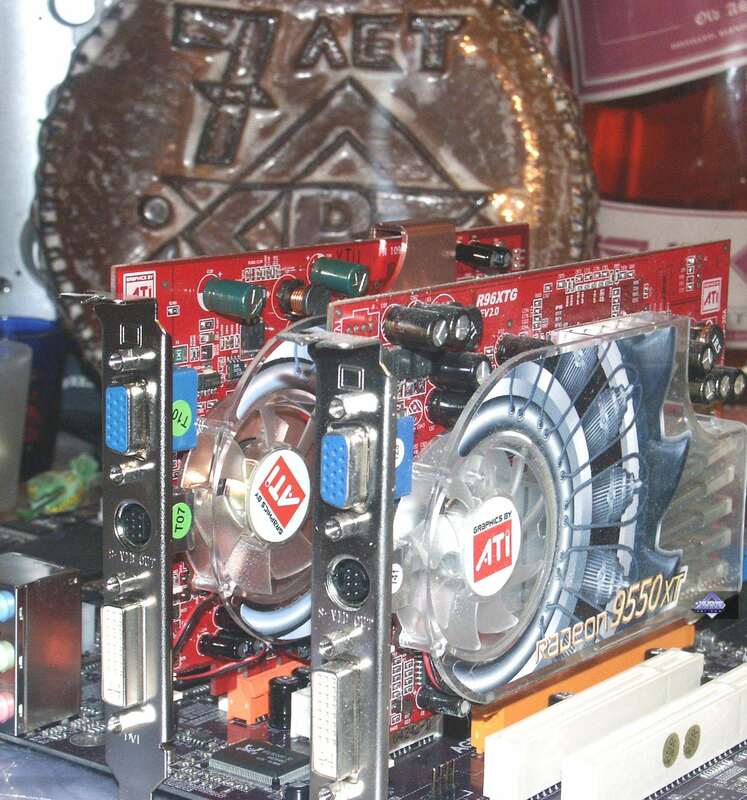 The same with GeCube, which already became famous for its stronger (that is overclocked) modifications of accelerators. 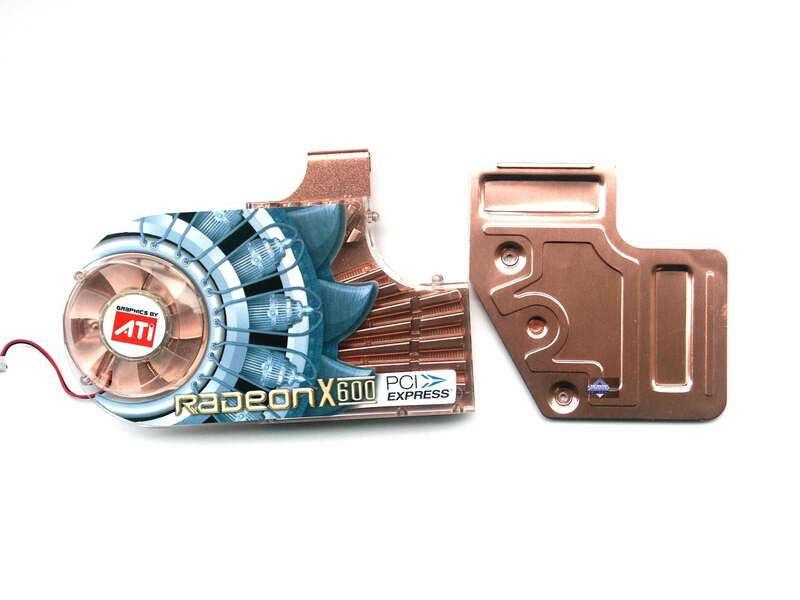 We already reviewed such a card based on RADEON 9550. By the way, here is a complete list of articles devoted to the ATI technologies, which are implemented in a series of cards of several generations. 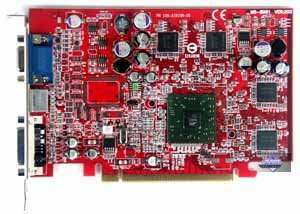 Today, when GeForce 6600/6600GT, RADEON X700/X700PRO/X700XT are already released, it seems uninteresting and even strange to review X600XT. 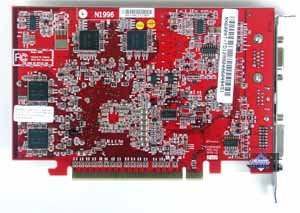 But, nevertheless, X600XT cards are still in production, they will just gradually be reduced in price and move to a cheaper sector. 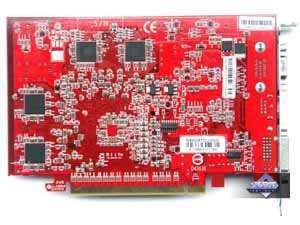 This product is interesting because it offers users higher speed than its competitors for approximately the same price as regular X600XT. Let's give it a closer look. 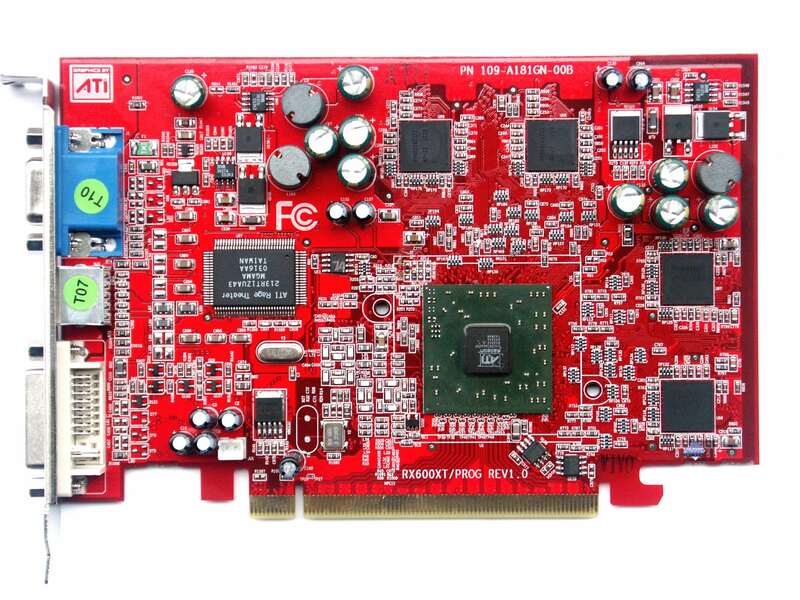 The card has the PCI-Express 16x interface, 128 MB DDR SDRAM allocated in 8 chips on the front and the back sides of the PCB. 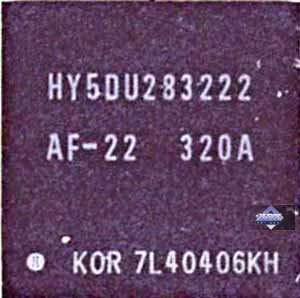 Hynix memory chips. 2.2ns memory access time, which corresponds to 450 (900) MHz. Memory operates at 400 (800) MHz. 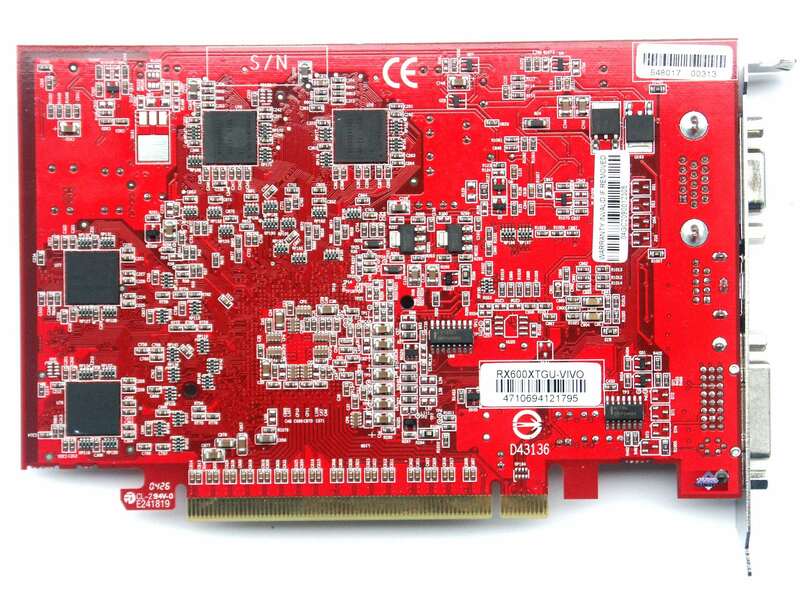 GPU frequency — 540 MHz. 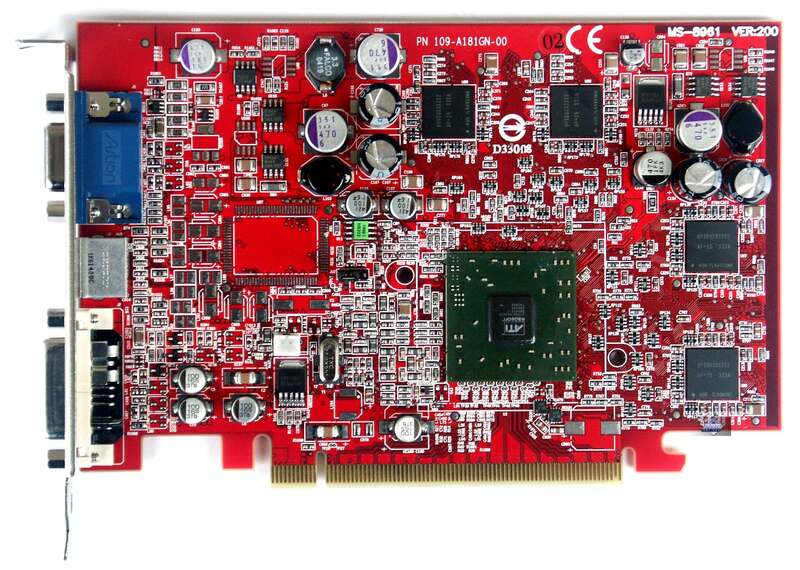 128-bit memory bus. 4 pixel pipelines and 2 vertex ones. Pay attention to the increased memory and chip operating frequencies instead of normal 500/380 (760) MHz. 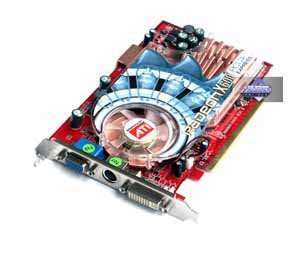 And of course, faster memory chips that make this card very attractive to overclockers. 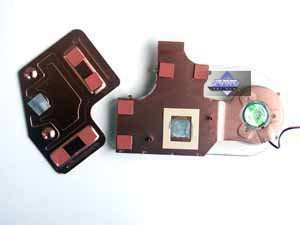 What concerns increased operating frequencies of the memory and the chip, an unusual cooler construction comes to the rescue. 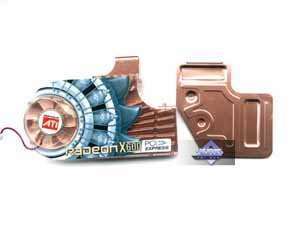 The design is obviously styled after the famous cooling system from RADEON 9800 XT. As I have already mentioned, such a cooler is necessary because the core is well overclocked, and the memory is faster and features higher thermal emission. 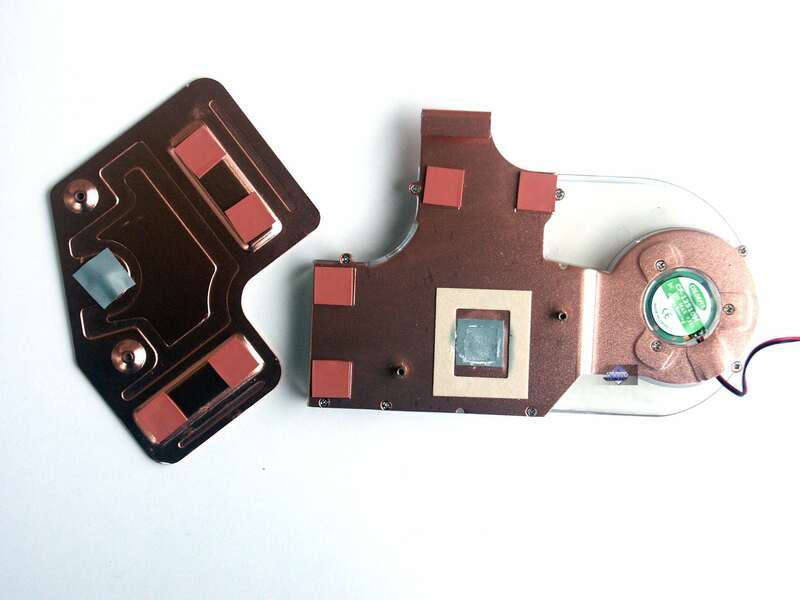 That's why there is another plate in the back to cool memory chips allocated on the back of the PCB. 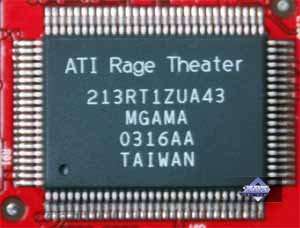 Interestingly, we have already come across markings on X600XT processors clearly stating that. And here we can see only codes. 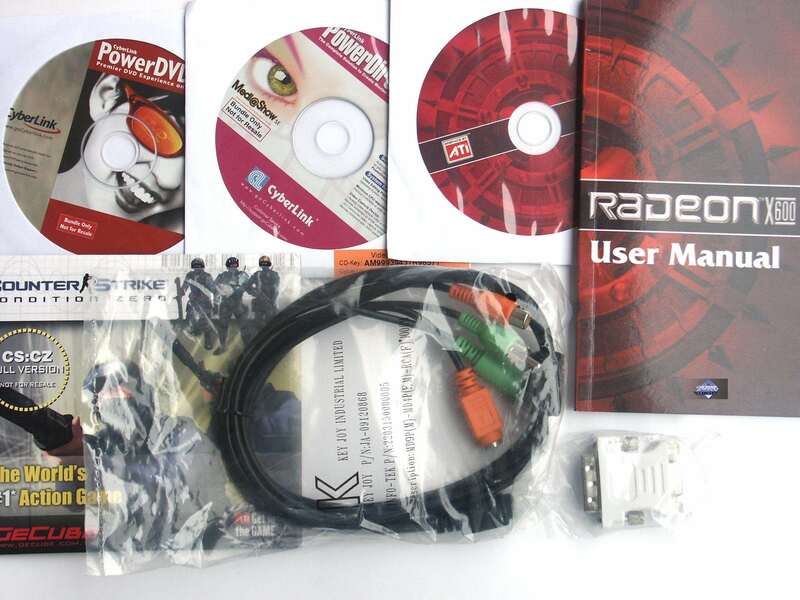 The box contains a user's guide, CD with drivers, PowerDVD, VIVO software, Counter-Strike: CZ; TV extension cords, DVI-to-d-Sub and SVideo-to-RCA adapters. 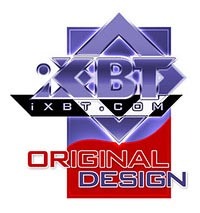 The box is designed with taste! Very bright and attractive. Everything is arranged in sections inside. 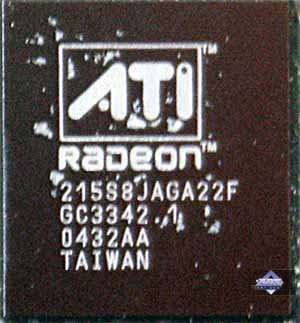 ATI drivers v6.476 (CATALYST 4.9); NVIDIA drivers v65.76. It's crystal clear that in some tests the new video card outscores even GeForce 6600 in modes with AA due to its fairly good memory bandwidth (relatively!). Very often the product from GeCube outscores a monster of a card PCX5900. But on the whole, you can see that no matter what you do with the 4-pipeline chip, it can hardly compete with equally priced 8-pipeline chips, even if the frequency difference reaches the twofold mark. 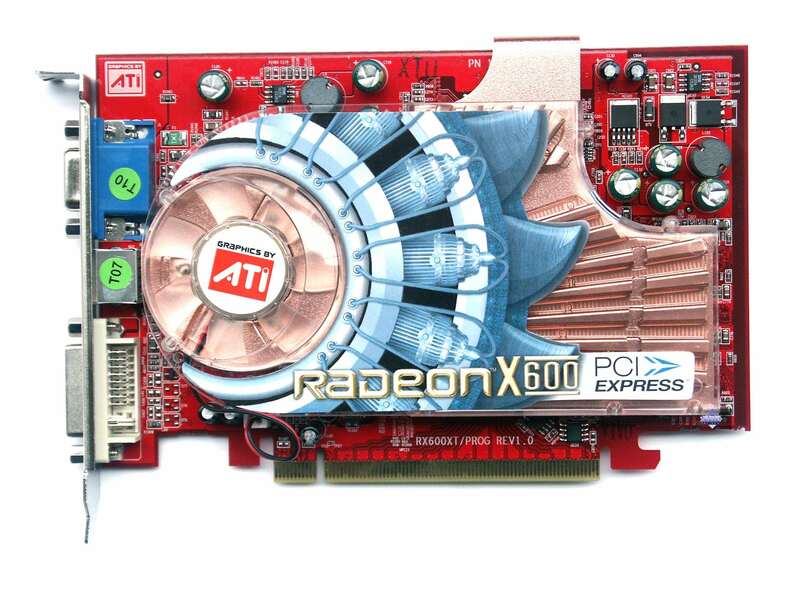 In fact, only its chip operating at 540 MHz somehow helps X600XT Extreme to stay up. 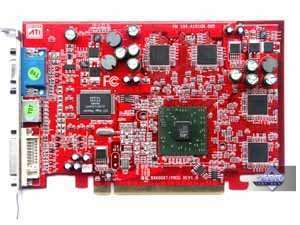 This video card is very good and may be in demand as long as its price is lower than that for GeForce 6600. I understand, it's very hard to achieve due to 2.2ns memory and more expensive PCB than in 6600. 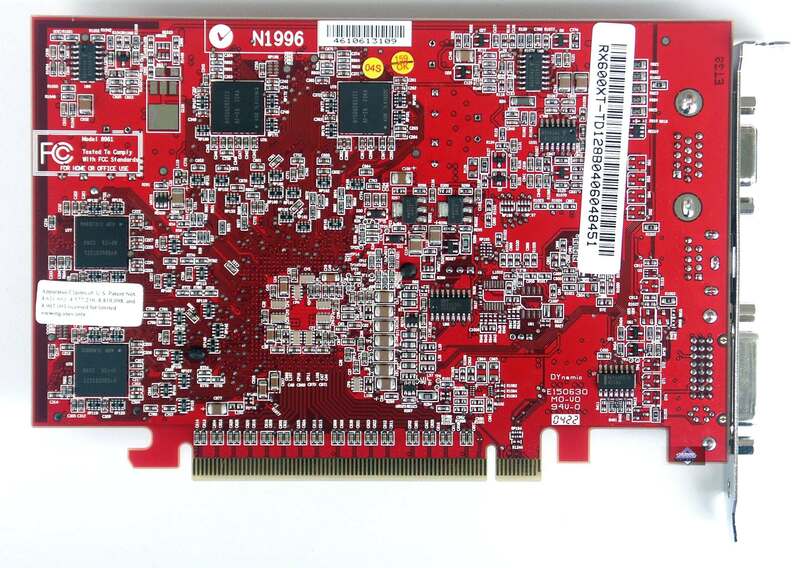 But if they want to get 150-180 USD for this card, they should understand that one can get a faster video card for this price. 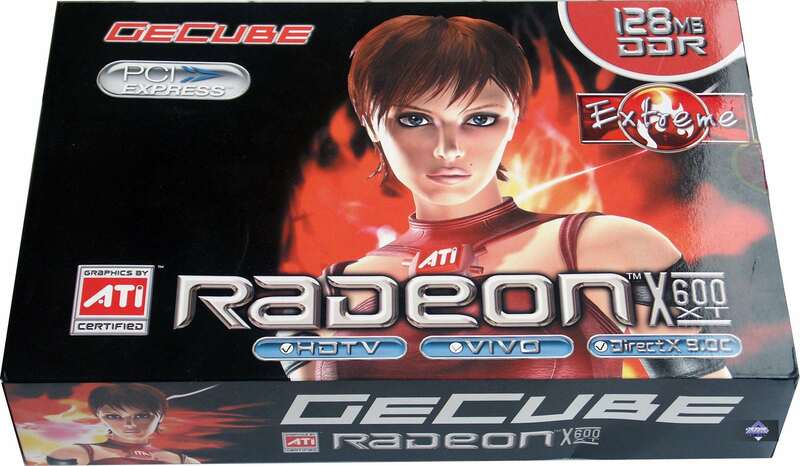 That's why I hope that the price for video cards like GeCube RADEON X600XT Extreme will quickly drop to $130 or even lower, and then their success will be guaranteed. 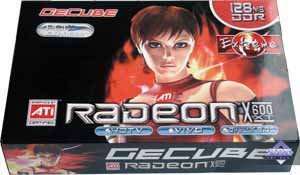 According to the test results, GeCube RADEON X600XT Extreme gets the Original Design award (October).